You are here: Home / Health & Diet / What Are The Effects Of Drinking Excess Water? What Are The Effects Of Drinking Excess Water? Although it is usually suggested to drink plenty of water to maintain good health, you may want to find out if there are any side effects of excessive water intake. The most common effect of drinking too much water is hyponatremia. The condition is characterized by low level of sodium in the blood causing symptoms like nausea, vomiting, fatigue, disorientation, drowsiness, muscle weakness, cramping, headache, loss of appetite, confusion, restlessness, dizziness, and even seizure, coma or death. Thus, overconsumption of water within a short period of time can cause electrolyte imbalance, thereby affecting the brain functions adversely. Simply put, excess intake of water results in a low amount of electrolytes on the outside of cells than inside. Hence, it leads to osmosis which in turn causes the fluid to shift into the cells, thereby making the cells swell in order to balance the concentration of the solutes. Consequently, the cells within the brain also swell and increase the intracranial pressure. This gives rise to the above-mentioned symptoms. However, it is not a common phenomenon. In fact, most cases of overhydration or water intoxification have occurred during water-drinking contests and marathons because it happens during strenuous exercise when one tends to drink excess water without adequate sodium replacement. Besides, there is a condition called Psychogenic Polydipsia that compels the patient to drink too much water. It is an uncommon clinical disorder, though. Drinking large quantities of water can eventually lead to kidney damage as fluid overload puts pressure on the kidneys to eliminate the excess water. Mild overhydration can be corrected by reducing water intake but severe cases require proper treatment. Check out this video explaining how drinking too much water can prove to be harmful. As excessive consumption of water can prove to be dangerous, so does inadequate intake of water that gives rise to a variety of problems associated with dehydration. Moreover, both the conditions have somewhat similar symptoms, thereby making it difficult to discriminate them. 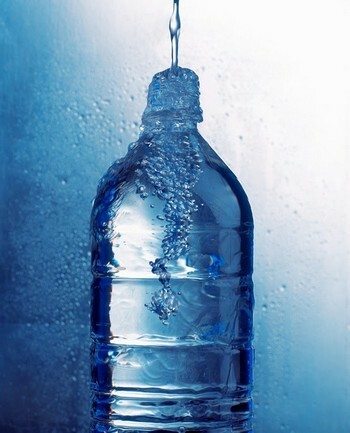 Insufficient water intake is also not considered healthy because water helps remove toxins from the body. To determine whether you are drinking enough water or not, have a look at your urine; it should be fairly clear. Besides, the best course of action is to identify your needs based on your diet, health, lifestyle, exercise routine and environment. In general, it is believed that women are more likely to suffer from hyponatremia as they have higher body fat and hence lower body water percentage than men. Furthermore, individuals suffering from kidney disease, heart failure, and inappropriate secretion of antidiuretic hormone should be particularly careful as they are more susceptible to overhydration. The best way to determine the amount of water you need is to listen to your body and pay attention to your thirst. Thus, you should drink just enough water that is required by the body to quench your thirst. Plus, it is recommended to sip water instead of simply gulping it down and avoid forcing yourself to drink more than necessary. Your body may not require too much water in case you are consuming a good amount of soups, broths, and foods with high water content. All in all, there are no clear guidelines about the amount of water you should drink daily as it varies from one individual to another. Nevertheless, it is usually suggested to drink about 8 to 12 cups of water in a day. According to the Institute of Medicine, in a temperate climate, a healthy adult male can ingest about 3 liters and a healthy adult female can take about 2.2 liters of beverages in a day.